We are window and door replacement specialists. With over 40 years of experience in the replacement window and door market in Portland, Oregon we have expertise in all styles and types of homes, spanning many historical eras. We strive to find the most appropriate solution for each window or door project, while maintaining the historical and architectural integrity of your home. 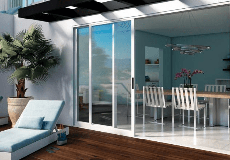 Vinyl windows, wood, fiberglass, fir doors, patio sliders, french doors, etc. There is a time and place for every style and function.